« Kaplan Online University offers a Certificate in Terrorism! Monty, being a faithful follower of the goings-on of TikiCentral, found a great post by Book of Tiki author, Sven Kirsten. Apparently, images from his book (along with artwork from several other artists) have been used by an unknown direct mailer, intent on selling their good-luck charm to 83-year-old ladies. I feel very conflicted, since this is the funniest thing I have ever come across, right up my alley, along the lines of the Church of Subgenius and other cult parodies. As a matter of fact, it is like taking the mock scientific style of my book to its logical conclusion, pronouncing it to be a REAL cult! Yet I fear that there is a remote possibility that someone will actually buy into this stuff, even though the text and concept are so far out there, it all seems like a joke. Let’s hope no one does. 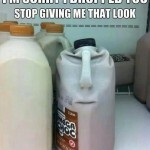 A good attitude, considering he could probably get a tidy little sum for the flagrant copyright infringement — even the photo of the so-called “Great Magus Haapape Tuarii,” who looks nothing like the Maori he claims to be, is actually ripped from page 160 of the Book of Tiki: a mere waiter at the legendary Mai Kai. You may have ‘snapped’ already from the information disease! Next time you want to slander us as “cult parodies” just ask yourself WWBD? SHUT UP OR STAND UP! How completely and uttlerly Slack.